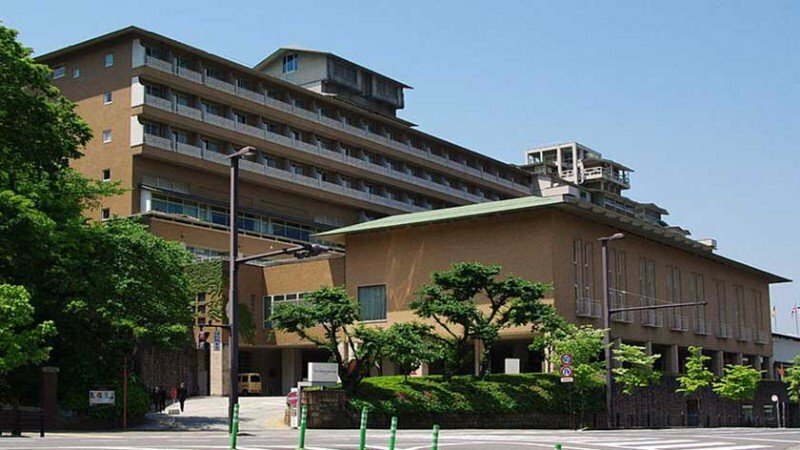 The Westin Miyako is located is one of the oldest western-style hotels in Kyoto and has hosted royalty and celebrities. It is located among a number of site-seeing locations in the Higashiyama district. Nanzen-ji, the Philosopher’s Walk and Ginkakuji are within a 10-20 minute walk and the hotel is located directly above Keage Station which connects it to downtown Kyoto. For dining, options include an international restaurant, a teppanyaki grill, an English-style tea room and 2 bars. There’s also a fitness center, an indoor and a seasonal outdoor pool, and a Japanese garden. 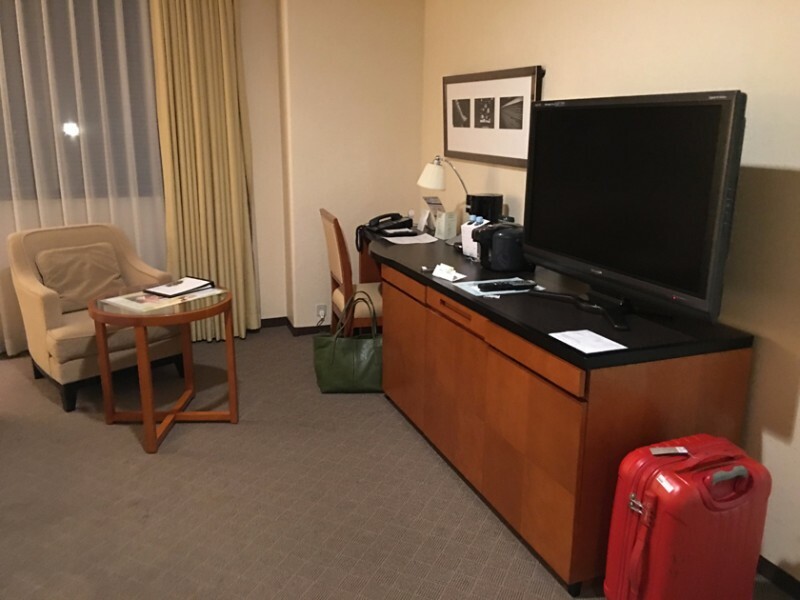 Getting to the the Westin Miyako Kyoto hotel is very easy due to the fact that it is located directly above Keage Station. Unfortunately, due to the area being rather hilly, the path to the hotel is on an incline. 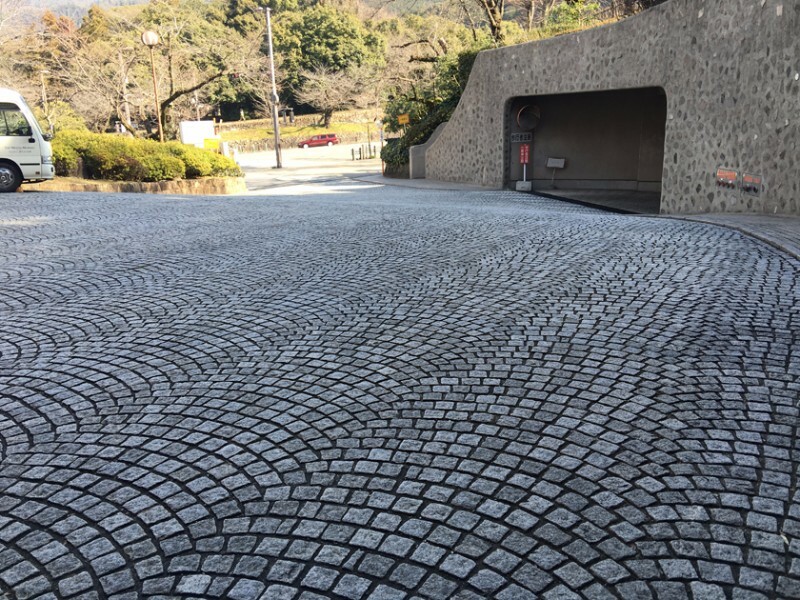 Additionally, the driveway is made of cobblestone and there is a small lip at the entrance. 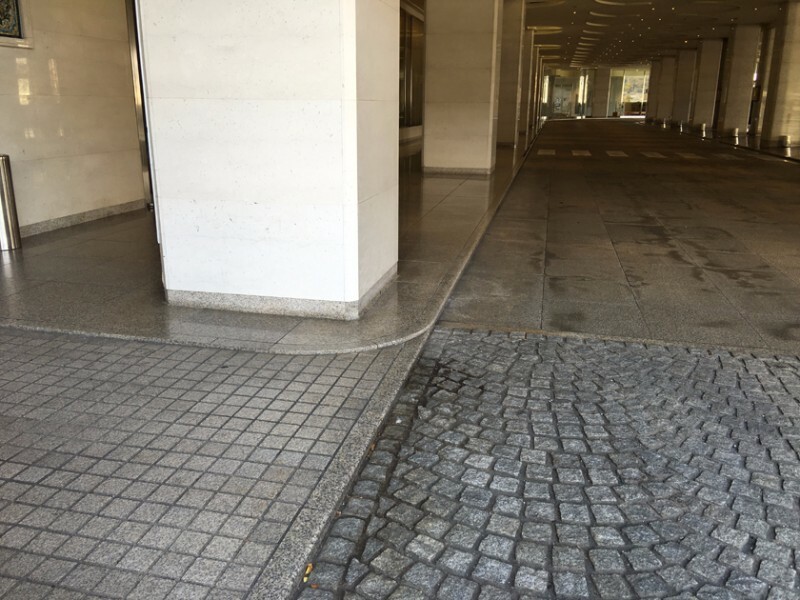 While not deal-breakers, it should be noted that after a long day of site-seeing, the final approach to the hotel may be difficult for some manual wheelchair users or those pushing them. Nanzen-ji, the Philosopher’s Walk, and Ginkaku-ji are downhill from the hotel, but still at a distance of around 500m. The Westin Miyako Kyoto has one adapted Deluxe Twin Room. 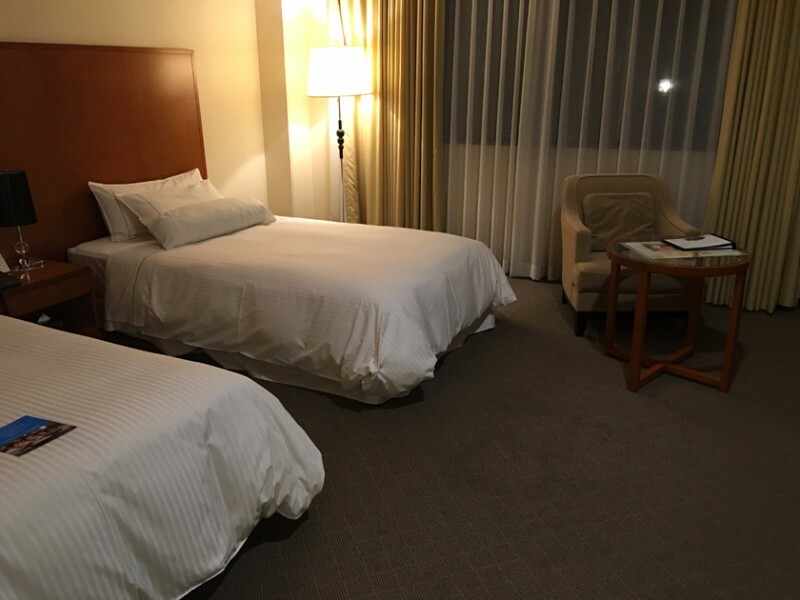 The room is extremely spacious and can easily be navigated in a wheelchair. 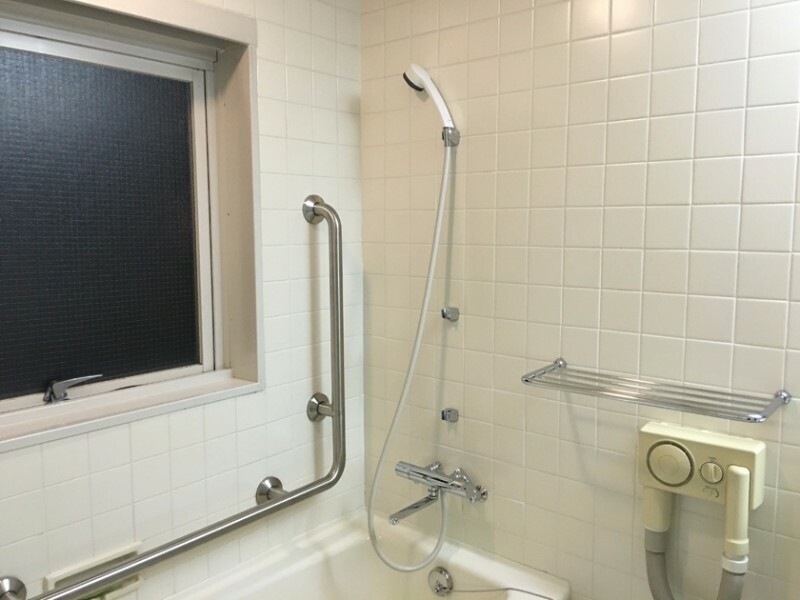 Essentially, the room is a normal Deluxe Twin Room with an adjacent bathroom adapted for wheelchair users. 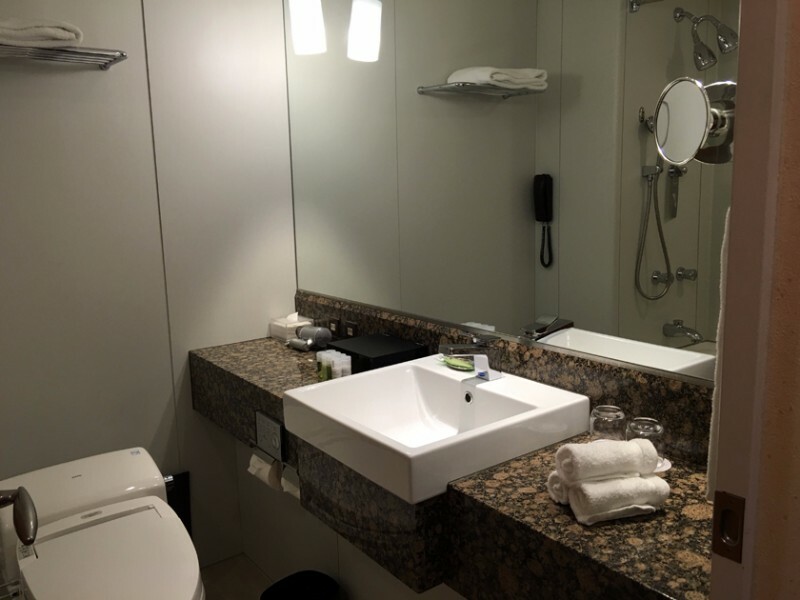 This means that there are two bathrooms and two baths/showers – the normal ones and the ones in the adjacent room. The beds are a bit high, and may be difficult for transfers. 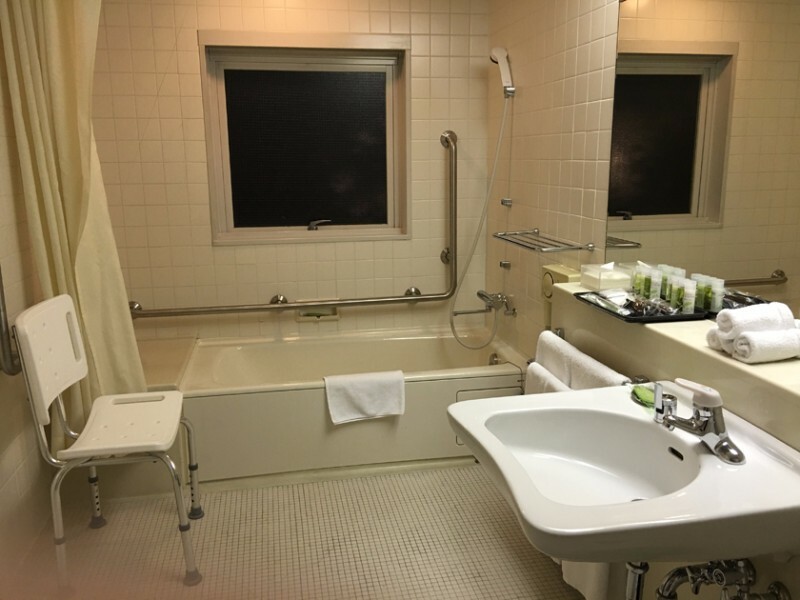 The adapted bathroom is also very large and features a bathtub with handrails, a shower chair, sink and toilet with handrails. 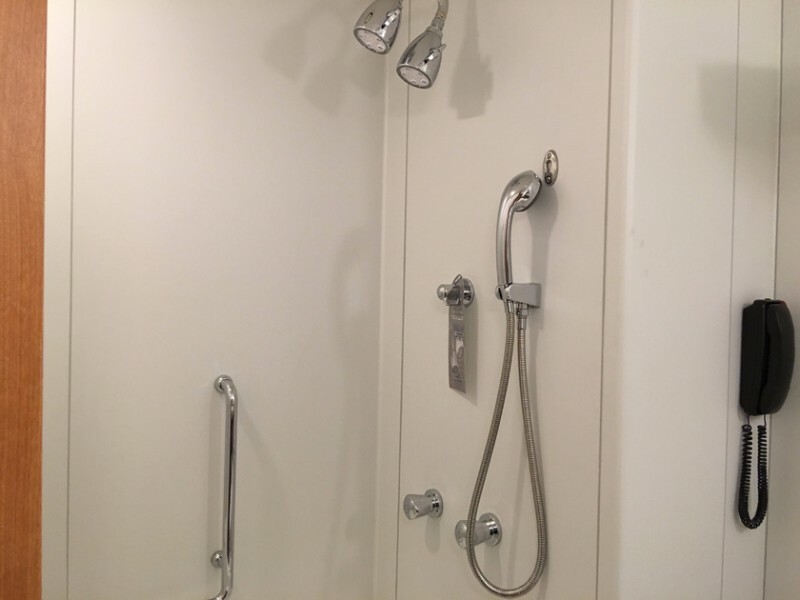 The floor is waterproof, so if transferring into the bathtub is difficult, it is possible to place the shower chair adjacent to the bathtub and use the shower hose for bathing. 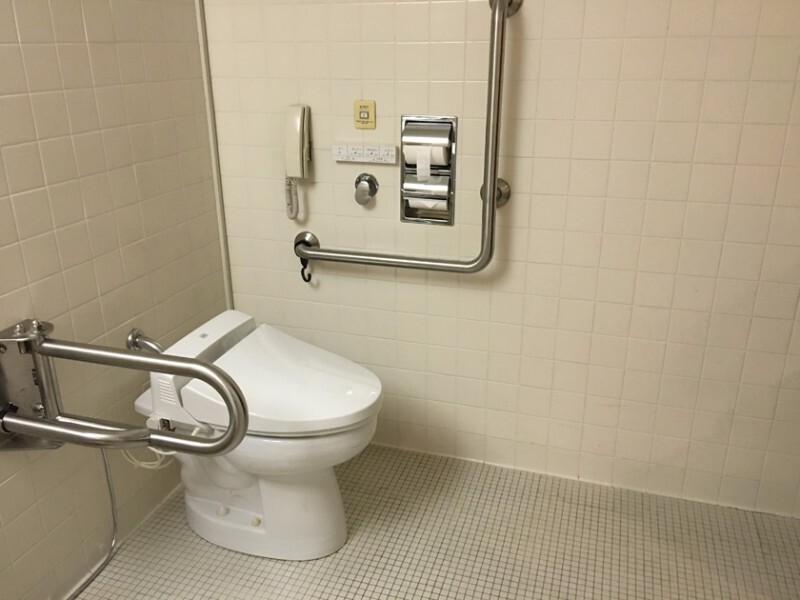 The toilet is unfortunately a bit high and has no backrest – possibly making it difficult for people with balance issues. The sink has nothing obstructing it and a wheelchair can easily fit underneath. Please see the photos tab for pictures of the room.